Faridabad Complex Administration Vs. M/s Iron Master India (P) Ltd.
Respondent: M/s Iron Master India (P) Ltd.
J U D G M E N T Abhay Manohar Sapre, J. 1) This appeal is filed by the appellant(defendant) against the final judgment and order dated 16.02.2004 passed by the High Court of Punjab and Haryana at Chandigarh in R.S.A. No. 530 of 2004 by which the High Court dismissed the regular second appeal filed by the appellant herein in limine against the judgment and decree dated 22.10.2003 passed by the Additional District Judge, Faridabad in C.A. No. 166 of 2002 whereby the appeal filed by the respondent(plaintiff) was allowed, the judgment and decree passed by the Trial Court was set aside and the suit of the respondent was decreed. 2) We herein set out the facts, in brief, to appreciate the issued involved in this appeal. 3) The respondent is a Limited Company having their place of business in Faridabad. The appellant is a Municipal Corporation, Faridabad as defined under the Haryana Municipal Act, 1973 (hereinafter referred to as “the Act”). 4) The respondent is subjected to payment of various taxes including House Tax under the Act on the properties owned by them at Faridabad. The respondent filed a civil suit seeking permanent injunction against the appellant restraining them from recovering the House Tax for the years 1991-92, 1992-93 and 1993-94 from the respondent on their properties. The appellant also sought a declaration that a demand notice dated 20.11.1993 raised by the appellant calling upon the respondent to pay Rs.48,599.40 towards the House Tax on their properties is illegal. 5) The appellant filed written statement and defended the aforementioned demands on various grounds. The appellant also raised an objection about the maintainability of the Suit. 6) The Trial Court framed issues. Parties adduced evidence. Vide judgment and decree dated 20.09.2002 in Case No. 1483 of 1995, the Trial Court dismissed the Suit. Felt aggrieved, the respondent filed appeal being Civil Appeal No. 166 of 2002 before the Additional District Judge, Faridabad. By order dated 22.10.2003, the Additional District Judge allowed the appeal, set aside the judgment and decree of the Trial Court and decreed the respondent’s suit against the appellant. 7) Felt aggrieved, the appellant(defendant) filed second appeal before the High Court wherein the appellant had proposed several substantial questions of law arising in the case. The High Court, however, dismissed the second appeal in limine by impugned judgment/order holding that the second appeal does not involve any substantial question of law. It is against this judgment, the appellant(defendant) has filed this appeal by way of special leave petition before this Court. 8) It is unfortunate that no one appeared for the appellant to argue the appeal before this Court when the case was called on for hearing twice. We, however, refrained ourselves from dismissing the appeal in default and instead perused the record with the assistance of Mr. A.K. Singla, learned senior counsel for the respondent with a view to decide the appeal on merits. 9) Having heard learned senior counsel for the respondent and on perusal of the record of the case, we are inclined to allow the appeal and remand the case to the High Court for deciding the second appeal afresh on merits in accordance with law. 10) The question, which arises for consideration in this appeal, is whether the High Court was justified in dismissing the second appeal of the appellant(defendant) in limine holding that it does not involve any substantial question of law? 11) The learned Single Judge while dismissing the appeal passed the following order: “This Regular Second Appeal has been filed by the defendant against the judgment and decree dated 22.10.2003, passed by the Additional District Judge, whereby the appeal filed by the plaintiff was accepted, the judgment and decree passed by the trial Court were set aside and the suit of the plaintiff was decreed. While decreeing the suit of the plaintiff, it was found by the learned Additional District Judge that before fixing the annual value and imposing the house tax, the defendant had failed to decide the objections filed by the plaintiff against the proposed amendment of the assessment list. It was found that in fact the case of the defendant was that no objections were filed. However, when a copy of the objections and the notice for personal hearing were shown to DW1 (produced by the defendant), he had to admit that those documents were issued by the defendant. It was found that from those documents, it was clear that the plaintiff had filed objections against the proposed amendment of the assessment list and there is nothing on the record to show that the objections were decided before the annual value was fixed and the house tax was imposed. This finding of the learned Additional District Judge, in my opinion, is a finding of fact based on the evidence led by the parties, especially when there is nothing on the record to show that there is any misreading of evidence or that any material evidence had been ignored by the learned Additional District Judge while giving this finding. 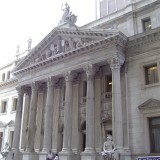 Once it is found that the defendant had failed to follow the procedure laid down under the Act while imposing the house tax, in my opinion, the civil Court certainly had the jurisdiction to entertain the present suit and the finding of the learned Additional District Judge in this regard also has to be affirmed. 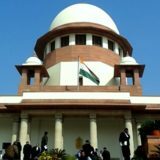 In this view of the matter, in my opinion, there is no scope for interference in the present appeal, especially when no question of law much less substantial question of law arises for determination in this appeal. 12) As observed supra, we do not agree with the reasoning and the conclusion arrived at by the High Court in the impugned order. In our considered view, the appeal did involve the substantial question of law and, therefore, the High Court should have admitted the appeal by first framing proper substantial questions of law arising in the case, issued notice to the respondent for its final hearing as provided under Section 100 of the Code of Civil Procedure, 1908 (hereinafter referred to as “the Code”) and disposed it of on merits. 13) As a matter of fact, having regard to the nature of controversy involved in the suit and the issues arising in the case, the questions raised in the second appeal did constitute substantial questions of law within the meaning of Section 100 of the Code. 14) Indeed, in our considered view, the questions, viz., whether the suit seeking a declaration that the demand of House Tax raised under the Act is maintainable, whether such suit is barred and, if so, by virtue of which provision of the Act, whether plaintiff has any alternative statutory remedy available under the Act for adjudication of his grievance and, if so, which is that remedy, and lastly, whether the plaintiff has properly valued the suit and, if so, whether they have paid the proper Court fees on the reliefs claimed in the suit were legal questions arising in the appeal and involved jurisdictional issues requiring adjudication on merits in accordance with law. The High Court unfortunately did not examine any of these issues much less in its proper perspective in the light of relevant provisions of the Act governing the controversy. 15) The High Court thus, in our view, committed jurisdictional error when it dismissed the second appeal in limine. We cannot countenance the approach of the High Court. 16) In view of foregoing discussion, the appeal succeeds and is allowed. The impugned order is set aside. The case is now remanded to the High Court for deciding the appeal on merits in accordance with law. 17) We, however, request the High Court to admit the second appeal, frame appropriate substantial questions of law as required under Section 100 of the Code keeping in view the pleadings and findings of the two courts below. Needless to say, the questions to be framed should be specific. 18) Before parting, we consider it proper to mention here that we have not expressed any opinion on merits of the controversy and confined our inquiry only to examine whether the second appeal involved any substantial question of law within the meaning of Section 100 of the Code? 19) Since none appeared for the appellant(defendant) in this Court, the High Court would issue notice to the appellant before it is finally heard. We request the High Court to decide the appeal expeditiously. 20) Record of the case, if requisitioned, be sent back to the High Court forthwith by the Registry.